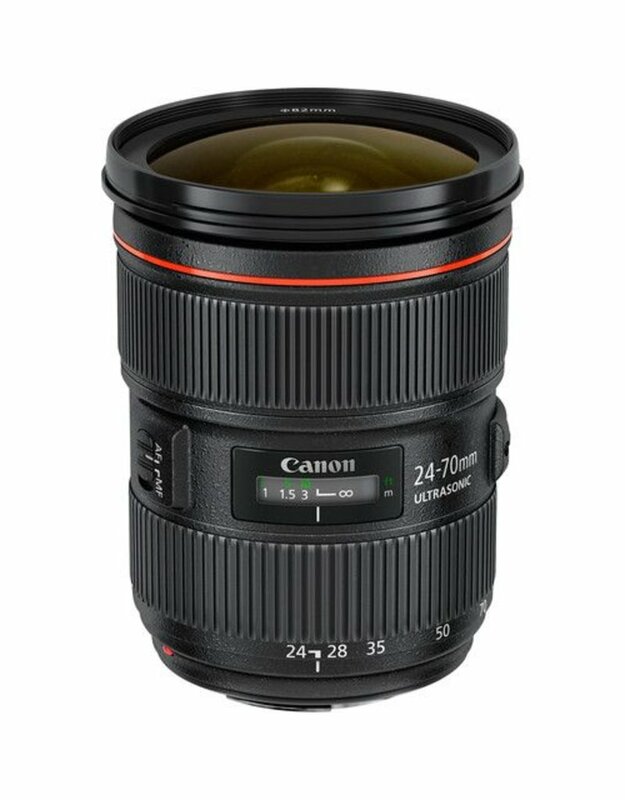 Meeting the ever-increasing demands on image quality that digital photography brings, the redesigned EF 24-70mm f/2.8L II USM is the latest update to the acclaimed L-Series of EF optics, re-establishing a new standard for superb optics, high-end durable construction, and performance in professional zoom lenses. 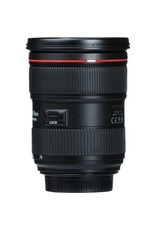 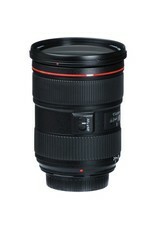 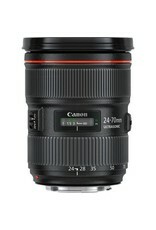 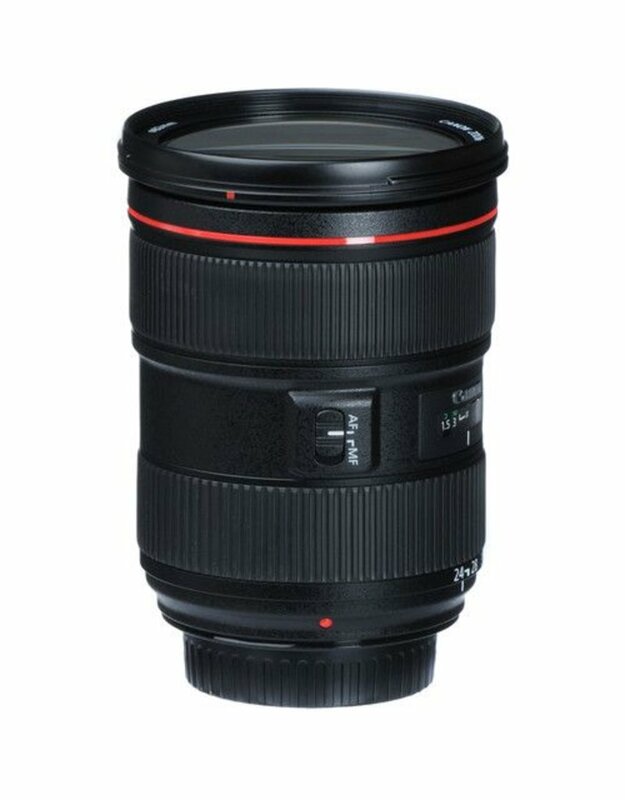 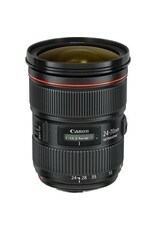 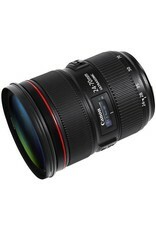 A standard focal length zoom lens, it features a large aperture throughout its focal length. 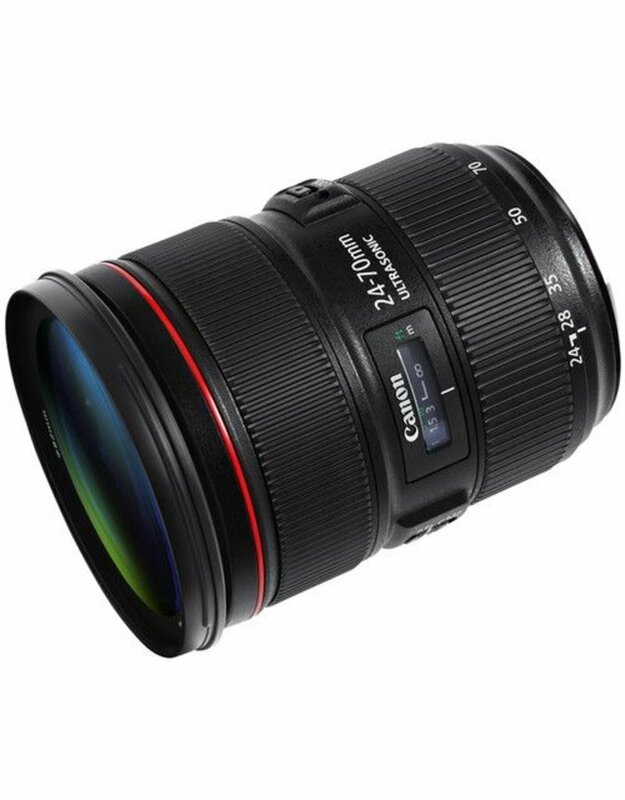 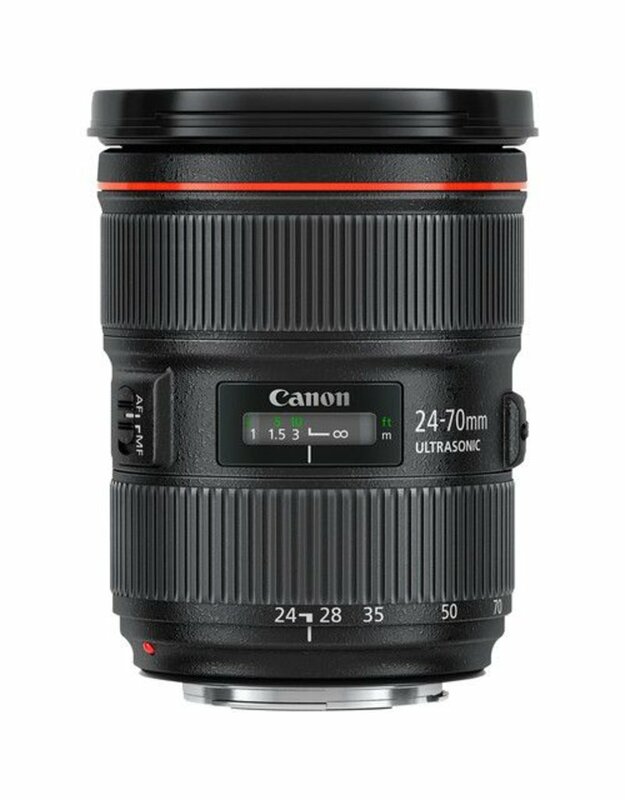 Featuring the latest advances in optical lens design, it utilizes 1 Super UD lens element and 2 UD lens elements that help minimize chromatic aberration in the periphery at wide-angle as well as reduced colour blurring around the edges of the subject. 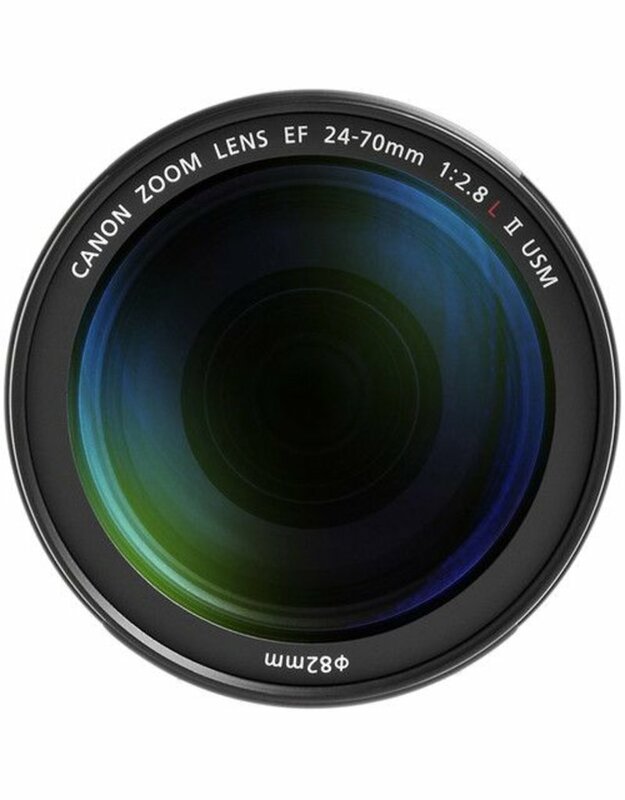 In addition, 2 types of aspherical lenses are combined to help reduce spherical aberration over the entire image area as well as through the full zoom range. 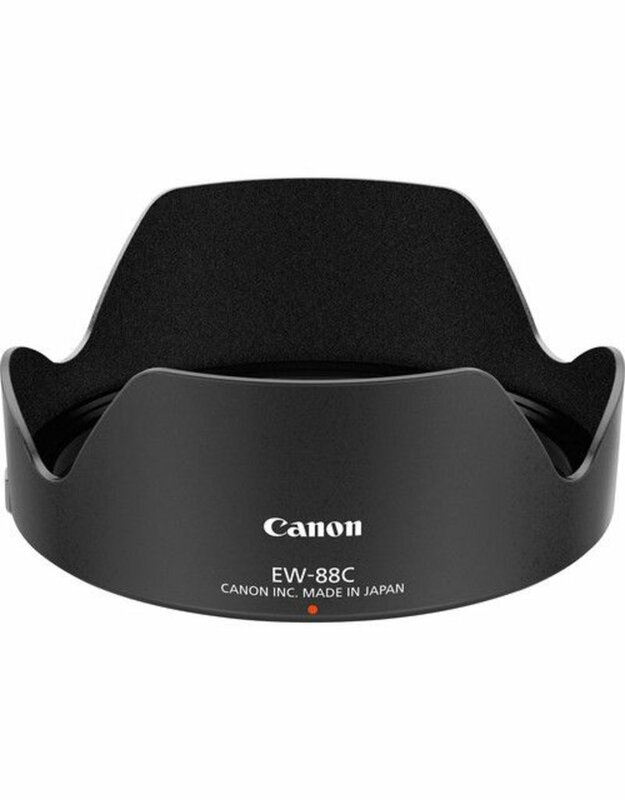 Optimized lens coatings also help ensure exceptional colour balance while minimizing ghosting. 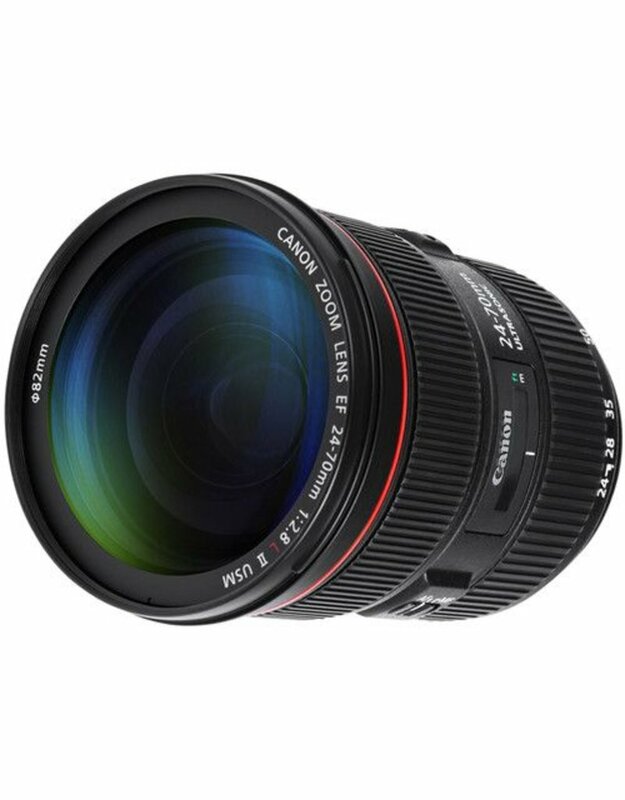 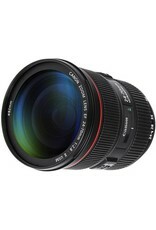 The lens is also equipped with a circular 9-blade diaphragm for beautiful, soft backgrounds. 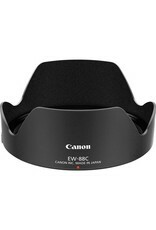 A ring-type USM and high-speed CPU with optimized AF algorithms enable silent and fast autofocusing. 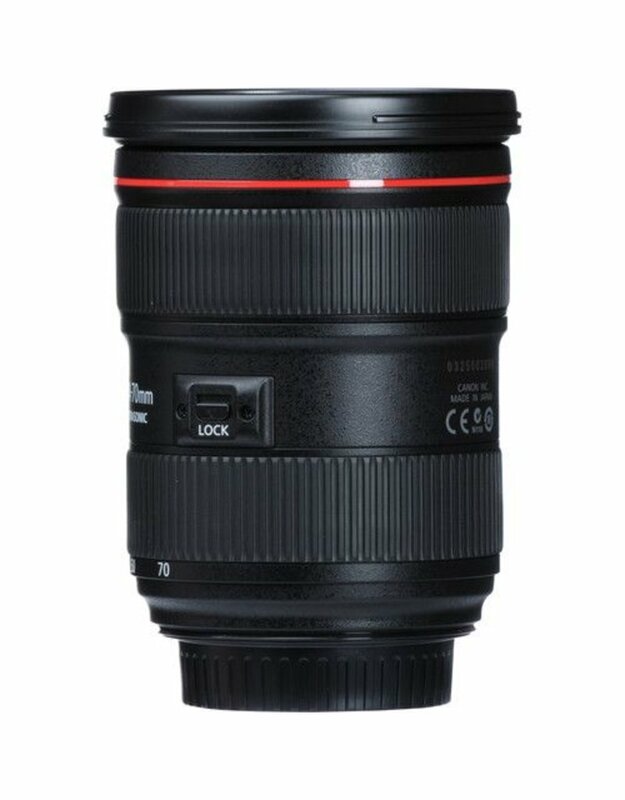 Built for the rigors of professional use as well as to meet the increased number of shots available with digital photography, it's constructed with improved dust sealing and water resistance while fluorine coatings on the front and rear lens surfaces help reduce soiling, smears, and fingerprints. 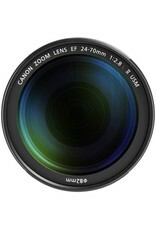 A zoom lock lever locks the zoom position at the wide end for safe transporting while attached to an EOS DSLR camera over the shoulder.